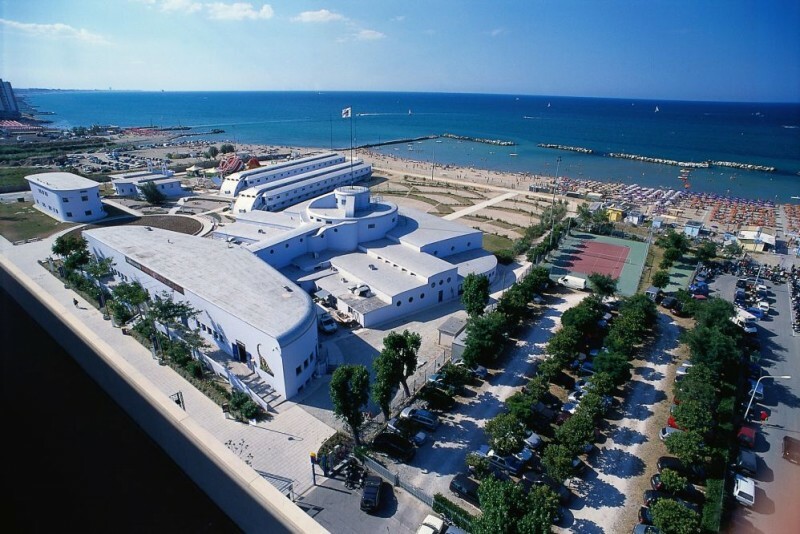 The feature that distinguishes the Aquarium of Cattolica, is given primarily on the architectural complex dating back to the thirties, where he resides. From summer camp, after a painstaking restoration work, careful not to spill the high cultural content, protected by the Superintendency of Architectural and Environmental Heritage, it becomes an aquarium in a set of buildings that cleverly arranged evoke the dynamics of a fleet, mail in front of the beach of Cattolica, and the Adriatic sea. The outdoor areas, open to the public are organized with large parks, water games, relaxation areas, picnic areas and numerous catering services. 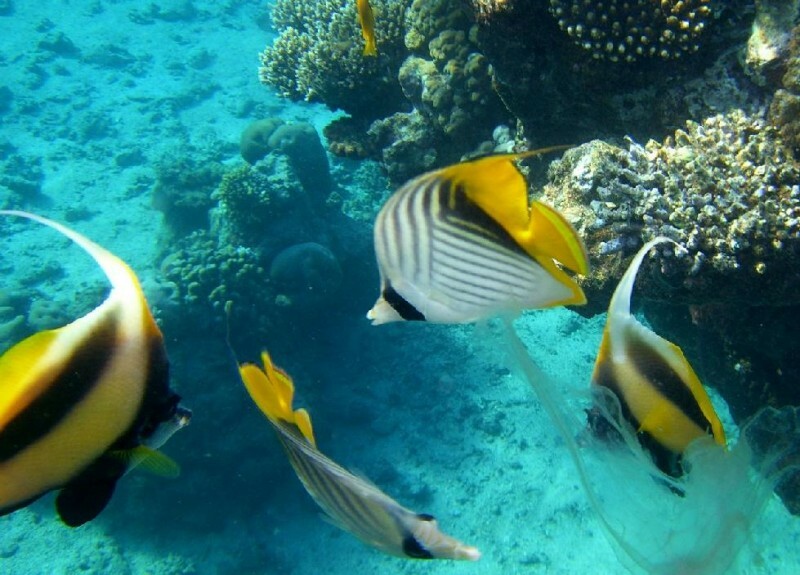 Inside the park instead paths, from educational content are varied and differentiated: Geopolis and Acquapoli, immerse you in the picturesque scenery, finalizzat deepening of the secrets of the sea, and of man's relationship with the same. 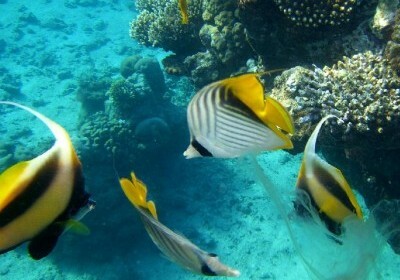 By means of underground connections and undersea laboratories will visit 70 tanks and more than 3,000 varieties of sea creatures, from all over the planet. 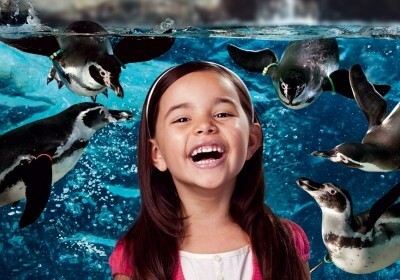 The involvement and the show are also secured by three-dimensional visual effects, documenting the marine food chain. Certainly the shark tank is why most attractive, more than 50 specimens of 13 different species swim in over 700,000 gallons of water. 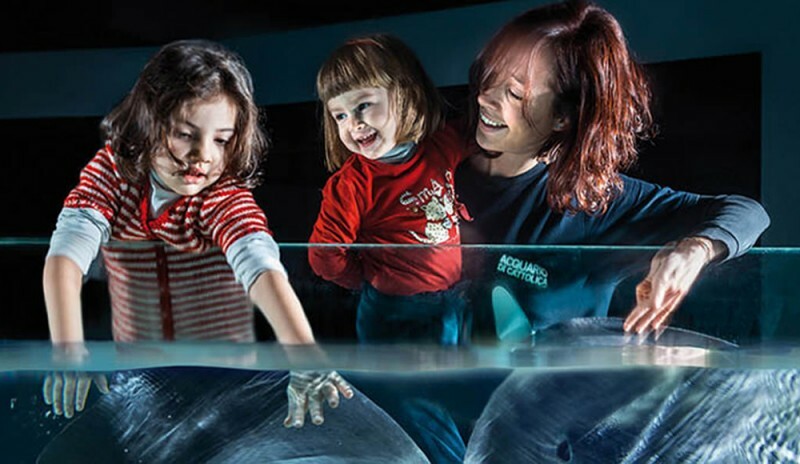 Nice and well suited to children is the tub of purple newts, the family of the races, where you can stroke these velvety creatures. 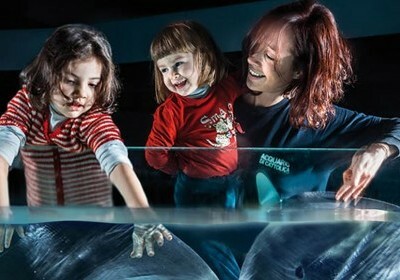 The same technique edutainment (educational entertainment), continue in the room of the "sounds of the sea", and to dispel the old saying "dumb as a fish" you can listen to a variety of interesting sounds made by fish and marine mammals . It continues into the room of "Poisons" under which are offered in 2,000 years of history, intrigue, legends, ancient knowledge, set in 'organizzatisssimo reptile house full of snakes, tarantulas, scorpions deadly. "The conquest of the seas" is the path reserved for the history of piracy and navigation. 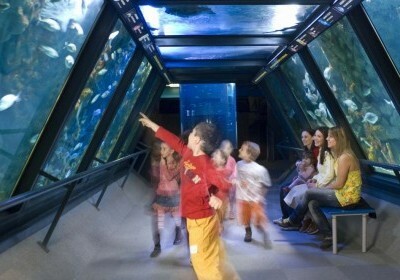 This multi-sensory path has been awarded scope renaissance "winner Parksmania Awards 2006". 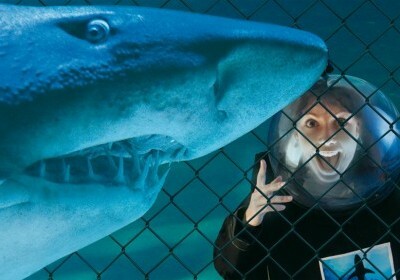 Unique in Europe, the Aquarium of Cattolica, makes you live the emotion of "Face to face with sharks". 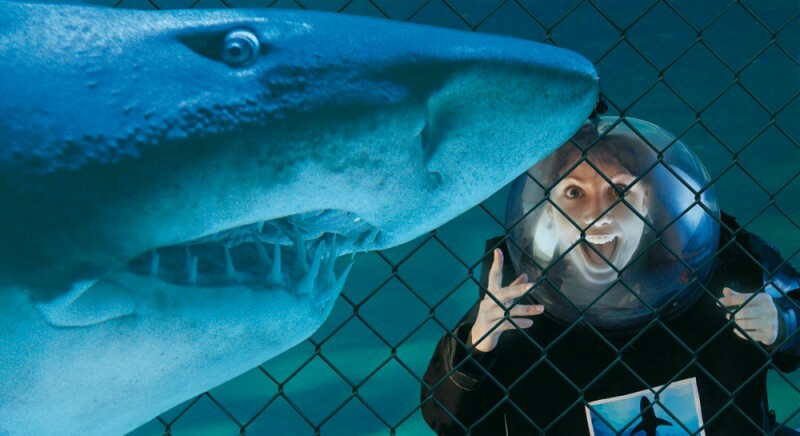 This is a true immersion organized with all the equipment and safety devices of the case (steel cage for protection, breathing apparatus, dry suit), to make the most experience to be framed in the album of memories. 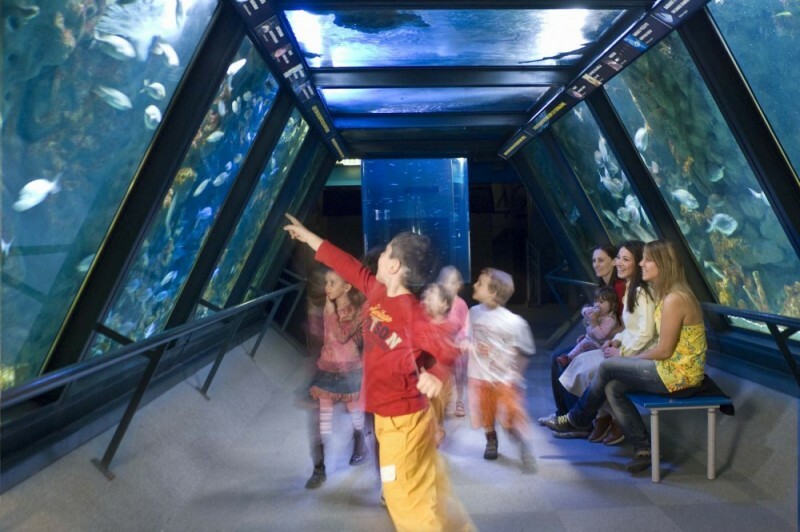 The Educational-Cultural Cattolica Aquarium department arranges for schools in-depth courses on how to observe and understand the Mare.Il Educational Department proposes different criteria depending on the age of the students and the school order. Such initiatives will be organized during the months of March and October.